During the winter just passed, I was out with a friend. The temperature dropped and there was a bitter chill in the air. Silly me, I had come out without a hat and the cold was freezing my skull. My friend kindly gave me a loan of their hat, which was made of deliciously soft grey cashmere. When we met up again, I returned the hat to my friend, but missed it, so I asked St Anthony if he could find me one. Then a funny thing happened. On my birthday, another friend of mine gave me a grey cashmere hat with the words, “I saw it and knew you’d love it”. I had not said a word to her that I was on the look-out for this exact type of hat. True, I love warm hats. But it is very “coincidental” that I would pray for a grey cashmere hat and be given one as a gift. Perhaps it is not so out-of-the-ordinary when you consider that I prayed to St Anthony. 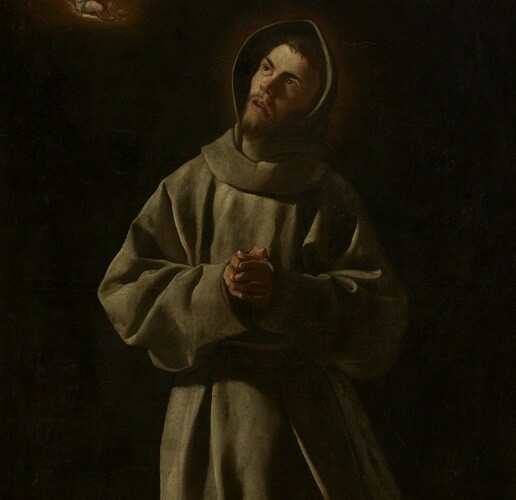 Now, on the whole, the 13th century Franciscan Friar is renowned for his intercession in finding lost or stolen goods. In the past, I’ve been admonished for giving “shopping lists” to St Anthony, but I believe that he is good to young people like me who are not rich and who can’t buy a new woolly hat unless it comes from Primark. When you consider his short life, St Anthony was remarkably effective in fighting on behalf of the poor. He came from a Portuguese family who were reasonably well-off, and in his youth, he did not have to endure grinding poverty which would have made him experience hardship first hand. He was, however, an Augustinian for ten years, before leaving them to become a Franciscan, where he voluntarily embraced austere poverty. It was to be the making of St Anthony – he was able to rebuke wealthy people who gave nothing to the poor – while never being called a hypocrite. In 1231, St Anthony lobbied the Council of Padua to pass a law in favour of debtors who could not pay off their debts. The museum of Padua still exhibits a copy of this law. Once St Anthony was invited to preach at the funeral of a loan-shark. While giving the sermon, he said that the rich man’s heart could be found among his treasures. Apparently, the usurer’s family went to look inside the usurer’s treasure and sure enough, miraculously they found his heart among the coins. St Anthony may have gone to Heaven a long time ago on June 13, 1231, but he could become a great intercessor for the generation of young people who found themselves on the jobs market after the crash of 2008, and who have been racking up personal debt without knowing how they will ever pay it back.